Thank you very much Don and Pat! owner cancelled the PrePaid reservation with NO COMMENT or explanation. After I was able to contact him and ask why he explained the people renting needed one more day! I then went ahead and made reservations losing a day of diving and because it was mandatory 5 day rental he said he would refund me the 5th day since I would not be there to use it. He refused to refund. 1) Owner tries to sell me a wifi package (said there is No FREE wifi and it is the ONLY wife service in Dominicus). THIS IS A LIE! said it was the ONLY wifi service and MUST PURCHASE FROM PHARMACY. The apartment next door I used for the first night had FREE Wifi & did not use the Pharmacy & was NOT the ONLY service in town. 2) No overhead light in the bedroom (fan).. Was never taken care of..
3) One towel.. only one of me. but give me a break! 4) IF there is going to be more than one person YOU WILL NOT HAVE HOT WATER! I had to turn it off and on during shower and shave to have hot water to finish with COLD water. 5) 3 part glass sliding door latch does NOT LOCK. Was NOT told! I said I wanted it fixed.. NOTHING DONE. THOUGHT door was locked and secure with all my belongings safe! WRONG! 6) I get note on my car second day "Por Favor no parque en este numero ?. es privado"
I call Vicki and show her the note. She tells me I AM Apt. #? and it is MY private parking and to disregard the note. Not two days later a man pounds on the door and yells at me to Move The Car. I tell him I AM APARTMENT #? and it is MY parking space.. (as I was told). I AM THEN TOLD the man is correct and Mikras (owner of the apartment) does NOT HAVE PAID PARKING. the ONLY place for me too park is a block away at the Pharmacy. And I did not want to take one of THEIR 4 parking spaces! I called Mikros and told him I was moving out and wanted a refund. He had orginally agreed on a one day refund. But now says HomeAlone does not pay him for a month and some other CRAP and he cannot give me a refund. BUT he calls me and to see when I will be out so he can rent it! THIS GUY IS not to be trusted.! I have Never in my life of 70 years contested / disputed a charge. CONSIDER IT DONE! I have pictures… of door latch… hot water heater that isn’t… the no parking note left on the car.. and the text messages from Mikros proving my history with this NIGHTMARE. Go at your own risk… or use another company. I was told I could post pictures??? WHERE????? The guest book lastsecond and did not show in my apartment, he paid the penalty for late cancellation. About the feedback it is very clear that is false. The apartment was exactly as pictured. Apartment had everything we needed to have a wonderful vacation. The place was clean and very safe. Owner was extremely responsive to all inquiries and there were non problems with the apartment at all. Great neighbors made for a really great stay. Quiet location but close to town and you can walk everywhere. I'm really so happy to have this wonderful feedback. Mirko and Elena, Vanilla House, Bayahibe. The condo was clean and the kitchen had a good amount of cooking supplies. The front, floor level condo lacked privacy from people at the pool or walking anywhere on the property and not possible to leave windows open for air flow when out for the day. While we were there (in the winter), the pool had great sun from morning until 2 or 3 p.m. The hot water did not work in the shower, only in the kitchen. The owner responds quickly via WhatsApp or email, but he is in Italy without an onsite manager. So, it can be challenging to get help about the condo or the area. 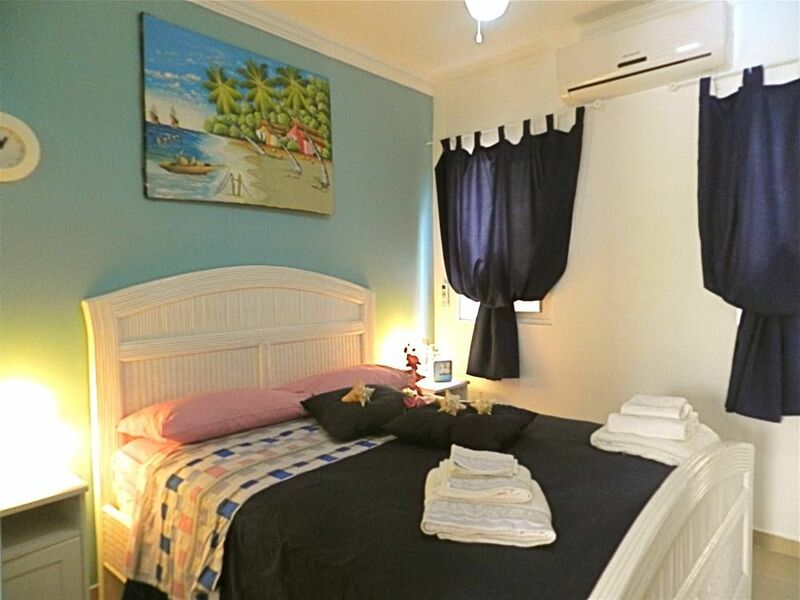 Condo is located in a central spot - 5 min walk to the public beach, easy stroll to restaurants and market, and main road to head out to Bayahibe proper. I just want to clarify a couple of things. We have blue curtains in the terrace for the privacy if you want. Inside the apartment we have only 1 boiler for hot water, so if the water was hot in the kitchen, of course must to be hot also in the bathroom. I m available from Italy but we have Miss Vicky, our Dominican lady that make the assistance during your stay there, also for check in and check out. É stato veramente un piacere ospitarvi nel nostro appartamento. Grazie mille per aver risaltato i nostri punti di forza! Mirko e Elena, Vanilla House. Uno dei migliori appartamenti nei quali abbia mai dimorato per le mie vacanze, sinceramente non mi viene in mente niente di negativo da scrivere, neppure il minimo dettaglio, le foto non rendono giustizia alla realtà sia dell'appartamento che della spiaggia, spero di poterci tornare il prima possibile, la sottolineare la cortesia, la disponibilità di Vichy, la ragazza che si è occupata di rendere perfetta la vacanza mia e di mia moglie. Riguardo ai servizi limitrofi ho incontrato però alcuni problemi con il market vicino alla casa, per quanto riguarda i prezzi eccessivi e le ricariche telefoniche che non sono mai arrivate, mi duole dirlo, con i ristoratori italiani, di gran lunga migliori i dominicani. Saluto tutti i lettori e buone vacanze. E' un immenso piacere ricevere una recensione così! Per noi la qualità e l'ospitalità vanno al primo posto grazie anche alla nostra assistente sul posto. Bhè ti ringrazio ancora e spero di rivederti presto da noi! (Text automatically translated) From the airport of La Romana Bayahibe area continue to Dominicus.